My name is Eddie Bear, and I am both very lovable and very lazy! 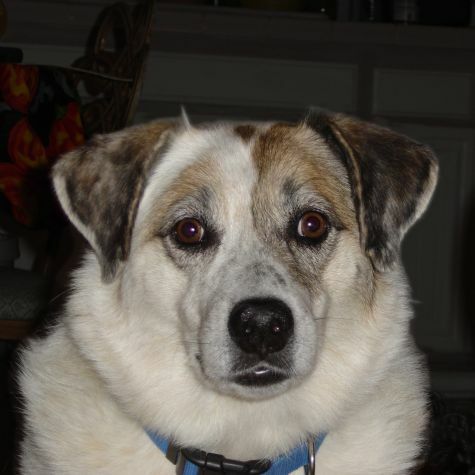 I�m an Australian Shepherd/Queensland Heeler mix. My first experience with children was at a preschool, where I attended a special "Doggie Day at School" assembly. I had 17 pre-school children pile on top of me! It was GREAT! From that day forward, I knew my �calling� was getting hugs from children. I now have my very own human toddler to play with, and snuggling her is my greatest joy!